FORTH, TASMANIA – The soul-stirring power of blues music knows no national boundaries. Memphis may be over 10,000 miles away, but every year, the town of Forth (population 700) resonates with sounds reminiscent of Beal Street as it plays host to the Forth Valley Blues Festival. 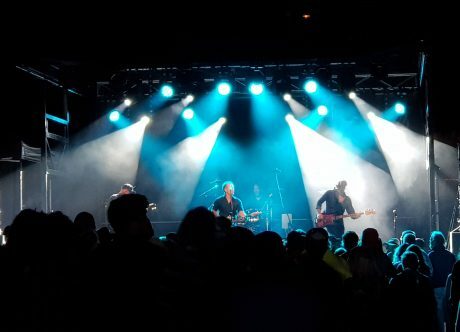 This year, the thousands of visitors who descended on the event were treated to an impressive display of blues virtuosity by artists like Mark Seymour of Hunters & Collectors fame and Guitar Extravaganza featuring Kevin Borich, Phil Emmanuel and Tim Gaze. 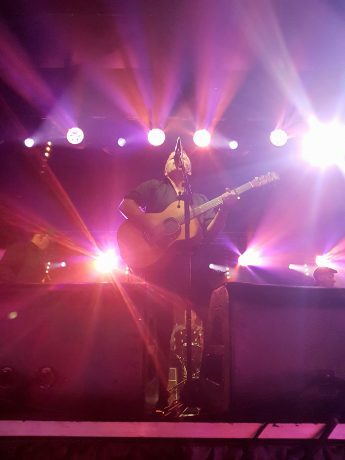 Setting an appropriately evocative mood for the festival was an intensely powerful and richly textured lightshow designed by Michael Westcott that featured CHAUVET Professional Maverick MK2 Spot fixtures, supplied by Show Systems Australia. Westcott flew eight of the 440W moving LED fixtures over the festival’s main stage, half on upstage truss and half on midstage truss. Controlling the fixtures via sACN and drawing on features like their 3-facet prism and slot-and-lock gobo wheels, he used them to create overlapping patterns that added a sense of depth to the stage. Varying these patterns helped him create a continuous flow of unique looks. Given the relentless festival schedule, reliability was, of course, central to Adam’s considerations when looking for an appropriate spot light to specify for his rig. The Maverick’s tour ready construction proved in this case to be the perfect match. “The great thing about these fixtures is that they always come up trumps, no matter what challenges you throw at them!” said Wescott, singing the praises of his “lighting instrument“ in much the same way that the artists on stage speak of their beloved guitars.